The United States, Japan, Australia and New Zealand hope to provide 60 percent of homes in the country with electricity by 2030. At present only 13 percent of the Papua New Guinea population can access electricity. The deal was announced at the Asia Pacific Economic Cooperation (APEC) forum which met on Saturday in Port Moresby, capital of Papua New Guinea. China has radically increased the amount it spends on aid to Papua New Guinea, challenging Australian and US influence. One of those interviewed by the study added: “Chinese aid is more effective. Concerns about Beijing’s rising influence in south-east Asia have grown rapidly in western capitals. A pro-Chinese party, which is widely accused of undermining Cambodia’s multi-party democracy, performed well in the country’s general election earlier this year. Meanwhile a New York Times report concluded China now conducts more trade than the US with every other Asian country, often by a significant margin. The Chinese Government has launched a massive project to improve its trade ties across Europe and Asia known formally as the belt and road initiative, and informally as the new silk road. As part of this Beijing is spending huge sums developing infrastructure across the region, in return for extensive trade concessions. 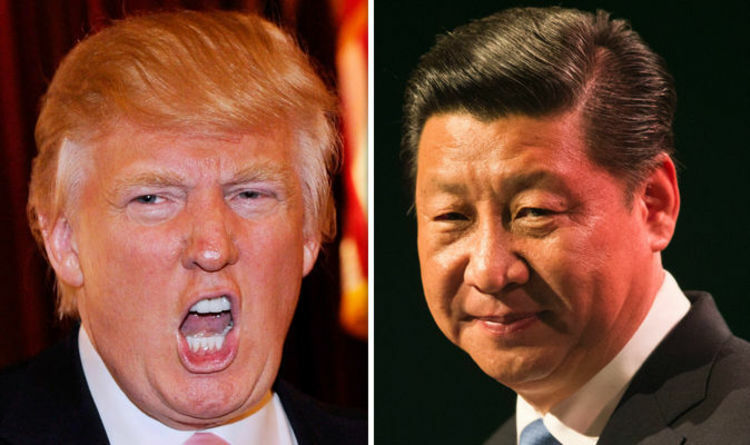 The APEC meeting has already seen significant tension between the US and China over tariffs and protectionism. At the summit Chinese President Xi Jinping commented: “Attempts to erect barriers and cut close economic ties work against the laws of economics and the trends of history. In September of this year the US placed $200billion of tariffs on Chinese products including consumer goods, electronics and food. President Trump demanded China end “unfair practices” targeting US companies whilst the Chinese government threatened “counter-measures”.